We feature some of the best coffees from around the world, wanting our customers to try exciting and complex coffees specifically chosen by us for their characteristics. Our range of coffee offerings changes throughout the year depending on the current crop cycles, meaning there’s always something new to try. Our current offerings are single origin Arabica beans from Guatemala, Nicaragua, Papa New Guinea, Colombia, India, Mexico, Honduras, Tanzania, India, Kenya, Ethiopia, Uganda, Rwanda. We also offer, decaffeinated coffee, as well as create special blends to our clients. Fazenda São Silvestre has been farmed by the Andrade Brothers since 1991. It is located in the north of Minas Gerais, in an area known as the Cerrado Mineiro on the border with Bahia state. The farm’s volcanic soils provide ideal conditions for growing the farm’s main varieties - Yellow Icatú, Yellow Bourbon and Típica. The beans are harvested when ripe and prepared using the pulped natural process: the cherries are pulped, and the mucilage is left on the beans while they are dried. 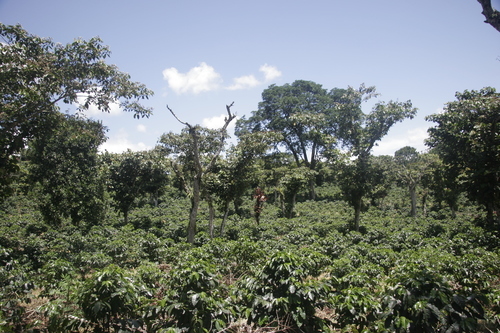 Depending on climactic conditions, the coffee is either totally sun-dried or completed in two stages where the beans are initially sun dried, bringing the moisture content down to approximately 20%, and then finished in mechanical dryers, bringing the moisture content of the beans to a maximum of 12%. After drying the coffee is stored in silos, still protected by the parchment or by the husk. After this period of rest, the coffee is milled and sorted prior to export. There is a BSCA standard cupping lab at the farm, where physical and sensorial analysis is carried out by qualified cuppers. Fazenda Capim Branco in Paranaiba (Cerrado Mineiro) was the Andrade family’s first farm; however, since the 1970s the family has been very active in establishing new farms so as to expand their cultivation area, all aligned with their mission of producing coffee of the very highest quality. The family acquired São Silvestre farm during this period of expansion. 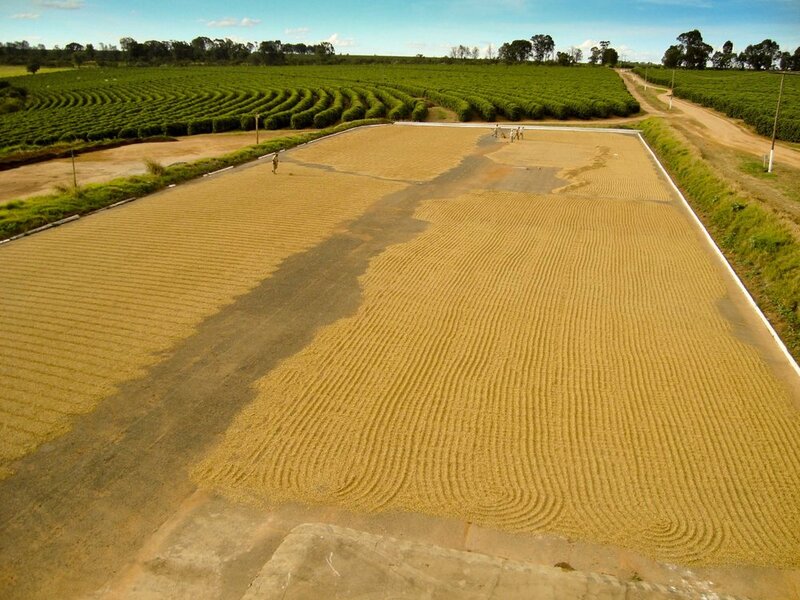 Combined with the natural conditions of the region, meticulous crop management, forward-thinking crop planning and post-harvest selection, the final result from all Andrade family farms is excellent quality, award-winning coffees that are appreciated both within Brazil and internationally as some of the best coffee the country has to offer. Santa Barbara Estate is composed of 5 sister farms that lie across three neighbouring, geographical regions - Santa Barbara, Fredonia and Amagá. Established in the 1980s, from the beginning Sr. Pedro Echavarria knew that location was crucial. Attracted by diverse microclimates, singular volcanic soils, perfect altitude and a tradition of excellence in coffee production, he established a small farm in the high Andes of Antioquia. La Joyeria truly is ‘the jewel’ of the Estate. These lots are grown at an average altitude of 1700 meters and are 100% Colombia variety. Each lot is composed of two days worth of picking; the coffee picked on the second day is added to the first after 24 hours fermentation and then left to ferment in the tanks for a further 24 hours. In this method of fermentation, the second batch raises the ph level of the fermentation tank, permitting longer fermentation times without the acetic acid produced by bacteria at a lower ph level. La Joyería is named for and processed at the main mill on the Santa Bárbara farm. The mill can process up to 7,000 bags of coffee; however, La Joyería makes up a very small percentage of this volume. It is also stored and milled separately from the volume production. Santa Bárbara Estate employs 60 people all year round, who on average earn 30% above the minimum wage. Half of these also receive free housing within the farm for themselves and their families. A further 1,200 pickers are hired during the main harvest, comprised mainly of farmers from around the Santa Bárbara Estate who pick coffee to supplement their income. Workers are generally long- term employees and have been with the company for more than 10 years. The Santa Bárbara Estate also runs an extensive scholarship and financial aid program for worker’s children as well as helping long-standing employees to acquire their own piece of land upon retirement. Located near the town of San Cristóbal Verapaz, in the cool, rainy reaches of Cobán, Guatemala, Finca San Isabel is situated on 300 acres of high, but relatively level, fertile land. Finca San Isabel was first acquired by Luis Valdes II’s great - grandfather in 1875, when the land was granted to the Valdés family by Guatemala's President; however, the farm was passed out of the hands of the family when it was inherited by a nephew who sold it to a third party. It took time for the farm to return to the Valdés family, who took charge again in 1960 when Luis Valdes I purchased it, bringing it back into the family. He started the coffee plantation in 1965. Don Luis and his son - also named Luis (nicknamed ‘Wicho’) - manage the farm as general and agricultural manager, respectively. Currently, Santa Isabel plants their nursery under shade using polyurethane bags starting in May and continuing through August. Young plants are planted 15 months later. Soil test analyses are completed throughout the farm to promote effective fertilization and pest control. All coffee at Finca Isabel is dried for at least one day on the patios – though full patio drying is only possible towards the end of the harvest, when the risk of rain is reduced. Usually, after spending one day on the patio, the coffee is stored overnight in wooden boxes before being moved to the greenhouses to dry between 15 and 30 days, or until a minimum of 30% humidity is reached. Much of the coffee is then finished in guardiolas according to a very strict and controlled drying schedule. Coffee is rotated in these mechanical driers at no more than 40°C and is rested between dryings to stabilise humidity. Once the parchment coffee reaches a constant 15% humidity, it is rested for at least 21 days in the warehouse before being delivered to the dry mill for milling. Santa Isabel trains and employees 40 permanent workers year- around; up to 500 seasonal labourers are brought in for the coffee harvest. Wicho has commented that although many farms in the region find it increasingly difficult to secure labour for the entirety of the harvest, Santa Isabel has a stable and reliable work force, despite their reputation for being very demanding with regards to selective picking. In addition to paying fairly, a picker at Santa Isabel can harvest up to 160 pounds of cherry a day, which means many of the same workers come back year after year! This 100% Maragogype (known locally as ‘Maragogipe’) coffee was grown on Finca El Paraíso near Matagalpa, Nicaragua. The farm was founded in 1935 by Sr. Esteban McEwan Blandón, who worked and managed the farm until the 1970s, at which time he passed the farm on to his grandchildren, Roberto and Esteban Bendaña McEwan. At the time of their inheritance, the two boys were quite young, so the farm’s management and care was given over to their mother, María Teresa McEwan. She divided the then larger farm into three smaller fincas – El Paraíso, Paraisito and El Quetzal. In March of 2014, María Teres a sold El Paraíso and half of El Paraisito, along with another lot called ‘La Nueva’, to the Sociedad Siles Plantation Family Group, represented by Marisol del Carmen Siles Orozco. The current farm is run under the name of El Paraíso and covers a total area of 657.12 hectares in some of Nicaragua’s prime coffee growing land near Matagalpa, Nicaragua. Sra. Marisol del Carmen Siles Orozco is one of two partners comprising Sociedad Siles Plantation Family Group. Originally from Jinotega, Marisol’s passion for coffee was inherited from her father, Armando Siles Otero, who in turn learned to farm from his father, Carlos José Siles, whose family grew coffee in the Dalia and Rancho Grande. Marisol remembers that when she was young, her family used to carry the coffee out on mules and donkeys and took a full day’s travel to reach to the nearest delivery station. Sadly, the family was forced to leave their ancestral family farm due to violence stemming from internal conflict and guerrilla uprisings that plagued much of rural Nicaragua during the1980s; however, Marisol’s goal has always been to reinstate her family’s long coffee legacy, and El Paraíso has provided her with this opportunity. Great care is taken in cultivation of the farm, and the best cherries are saved from each harvest to seed the farm’s extensive nursery. Seeds are pulped and then moved to a shaded and well - airated resting place to fully dry with the mucilage attached. Once dry, the best seeds are then moved to the seedbeds, previously carefully prepared for germination. Once the seeds have germinated, they are planted into polyethylene bags with rich soil to nourish them as they grow. When they reach the proper size, they are transplanted onto various plots of land within the farm where renovation of rootstock is most needed. The harvest begins in October and ends towards the middle of March. All harvesting is done by hand and coffee is selectively picked, except for the final pass during which all coffee remaining on the trees is removed to ensure the health of the tree and to prevent unwanted seedlings, which can rob nutrients from the mother plants. The farm relies on a large number of seasonal workers (approximately 650), many of whom return year after year, to help bring in the harvest. However, many of the farm’s 140 permanent workers (30% of which are women) come from nearby communities or live on the farm itself. Some were even born on the farm and have spent their whole life there, such as Señor Gregorio Salgado, who was born on the finca in 1957 and began working there when he was a young man. Even today, Sr. Gregorio continues to work tirelessly to grow the best quality coffee possible and to make ‘El Paraíso’ the coffee paradise that its name connotes.